Great looking sign for the front porch or hang it in the barn. Show em how you feel with a sign. 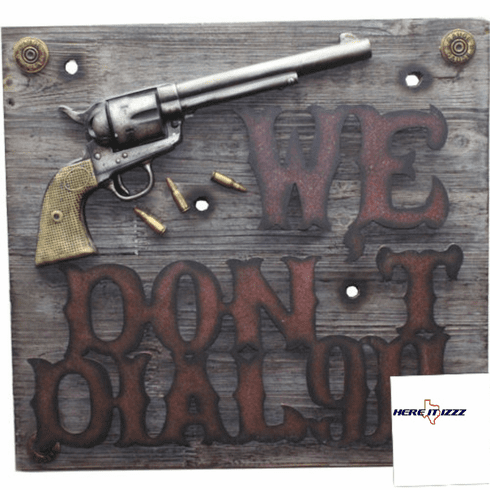 Our we don't dial 911 pistol sign tell the world think before they do anything stupid. This time comes ready to hang with rustic oxidized looking lettering realistic pistol and pine wood background.